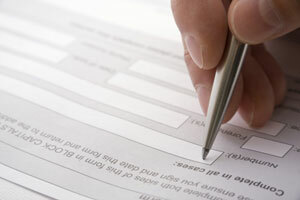 Click here for our full New Patient Registration policy. On registration you will be registered under a named GP, however the practice works as a team and we are able to offer any GP according to availability. All our patients, including Children, have now been allocated to a named, accountable GP. If you wish to be informed of your named GP or to change this at any time, then please contact reception. All registering patients will be asked to fill out a simple health questionnaire and patients over 5 years old are welcome to book a more detailed new patient health check with one of our Health Care Assistants where we will take your blood pressure, record height and weight and ask about your general health. On registration your details will be entered onto our computer system immediately although your full notes may take longer to be transferred from your previous practice. Anyone can register with us regardless of where they live. However, we are not able to provide home visits beyond our practice boundary. If you are unsure as to whether you fall within the practice boundary, please see the map below or call in to surgery. You can use our 'Pre-registration' tab to save time by completing some of the information required for registration on-line.